By Duane Norman , in Exposing MSM Lies Guns on April 12, 2017 . Preparing for life with Donald Trump as president and Republican majorities in Congress, Michael Bloomberg’s gun control group is threatening to spend more than $25 million in 2018 races. Everytown for Gun Safety, founded and funded by the billionaire former New York City mayor, is hiring several new top staffers and turning much of its attention to state legislatures, while moving to a defensive posture in Washington as it tries to stop what’s known as “concealed carry reciprocity” from becoming law. It seems Bloomberg hasn’t learned from his previous failures that one billionaire throwing money at a cause isn’t always a sound financial investment. Despite all that, it seems he is prepared to do the same thing all over again. So, given that Bloomberg clearly intends to just do “MOAR” of the same, with the exception of choosing a target, how will he choose to deploy his funds? Everytown is brandishing its significant spending in the 2016 New Hampshire Senate race that former Republican Sen. Kelly Ayotte lost narrowly — the group targeted her for voting against background checks in 2013 — as a warning to other senators up in 2018 and possibly 2020 as well. Between Everytown and other avenues that Bloomberg and gun control advocates used, Ayotte had roughly $8 million spent against her. Bloomberg spent north of $25 million counting money he put into Senate races and into four state ballot measures on gun control, three of which passed. The net change in the Senate party composition after the 2016 election was -2 for Republicans, which includes the loss Mark Kirk (R-IL), who was the only Republican to vote against CCW reciprocity in 2013. Bear in mind, Republicans “contested” 17 seats in 2016, while the Democrats only contested two. Thus, Bloomberg’s net gain against CCW reciprocity for his spending was one seat, held by the aforementioned Kelly Ayotte, who was already a weak candidate. The map is far worse for Democrats in 2018. There are 34 seats up for reelection, and Republicans are only defending 9 of them. Republicans have two “close” races, while Democrats have nine. Clearly, Bloomberg is prepared to use his influence against any Senator in a close race who dares to consider to vote for CCW reciprocity – it is his only hope of stopping the legislation if Republicans put it to a vote. But, even if 2018 is a failure for him, he is still looking ahead to 2020. 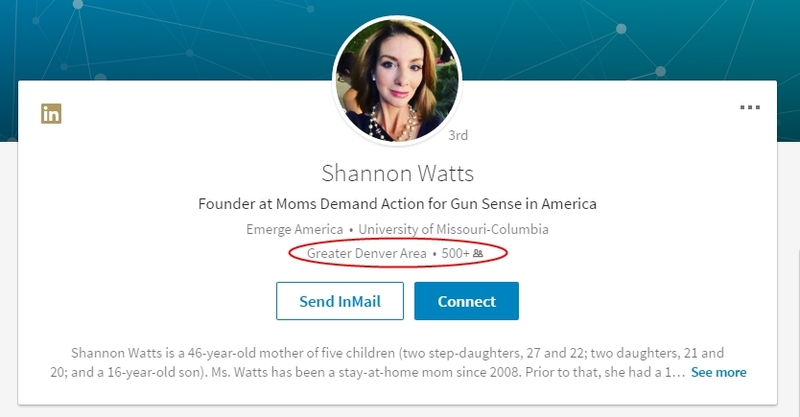 Remember Shannon Watts? The policies did not stop other users from standing behind Watts. People like Patricia Arquette, William Shatner and Chrissy Teigen joined forces on Twitter to voice their opinions on the matter. As you can see, “form-fitting lycra/spandex tops, pants and dresses” aren’t allowed for non-revs. 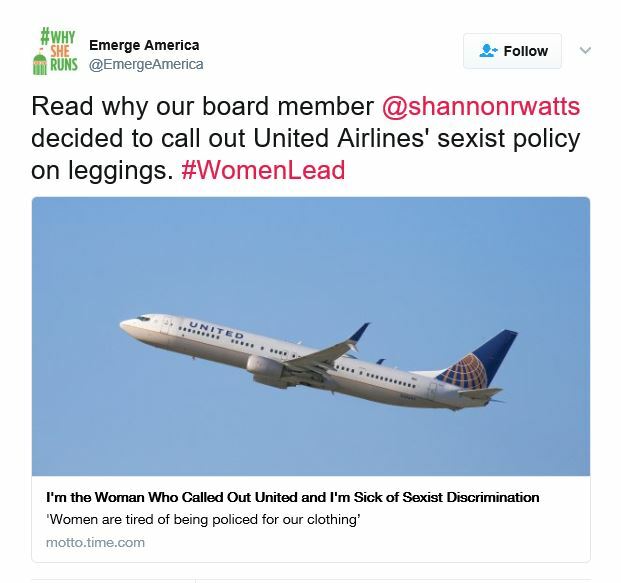 What do you think is more likely, that Watts was really clueless as to the real reason the children were forced to change their attire, or that Watts knew the dress code all along and staged the event with the children’s parents to get her name in the news? Would you really be surprised to learn that a former Monsanto lobbyist masquerading as a stay-at-home mom would go through such lengths just for a little publicity? “According to the Boone County (IN) tax collector, John or Shannon Watts no longer own property there. According to the Boulder County (CO) tax collector, John and Shannon Watts do own property there. They live in Colorado’s 2nd congressional (deep blue) district. It seems she officially has moved to the People’s Republic of Denver. Apparently Bloomberg feels that Colorado is now under his control and can get her favorite political courtesan elected to office. Shannon is not going for a paltry State Congress seat but fully fledged Federal. The only question remaining: Is this vetted by Colorado Democrats or are we watching another Carpetbagging Attack? It is interesting that the LeggingGate affair brought out this little tidbit I may have missed. Uh-oh – it looks like Watts (and Bloomberg for that matter) have been caught stealing from the women’s rights cookie jar in an effort to further their gun control agenda. 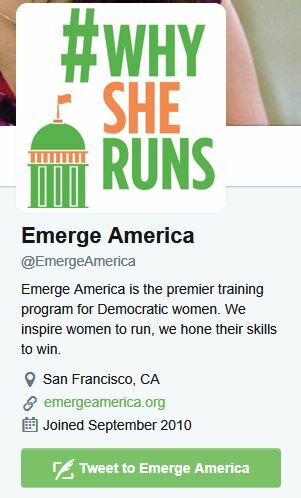 Then again, “Emerge America” could be another Bloomberg-funded dog-and-pony show aimed at influencing the voters into picking his show horse to win. Hopefully Trump isn’t too distracted bombing Syria to focus on CCW reciprocity, even if the opposition would oppose it just because he wants it. Nothing is more meaningful than help from the top, and if we want any shot at passing CCW reciprocity, we’ll need all the help we can get.